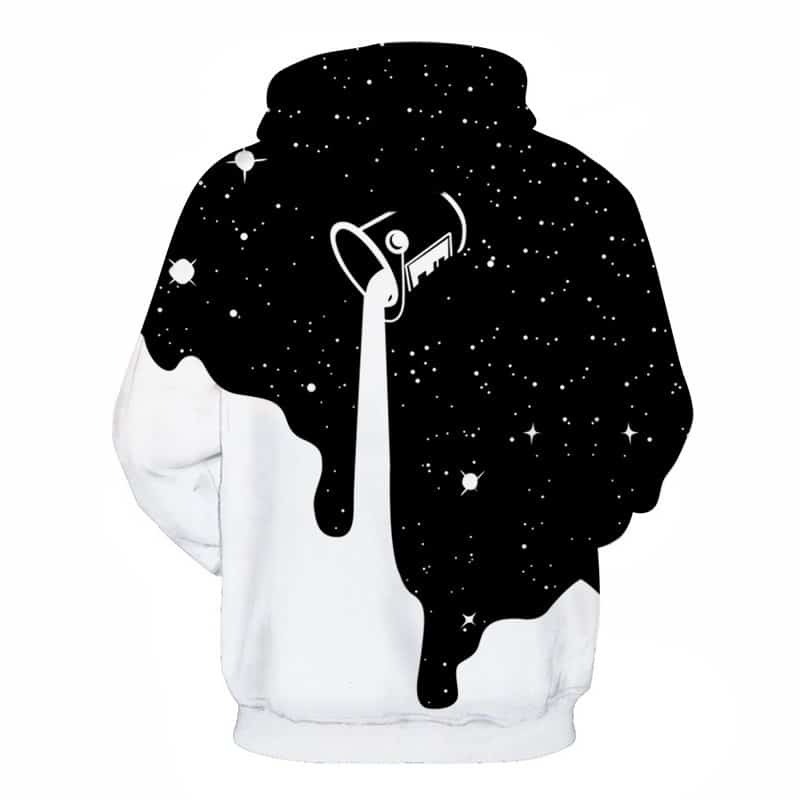 The Galaxy Paint Hoodie is a best seller of ours. Stylish and interesting concept. 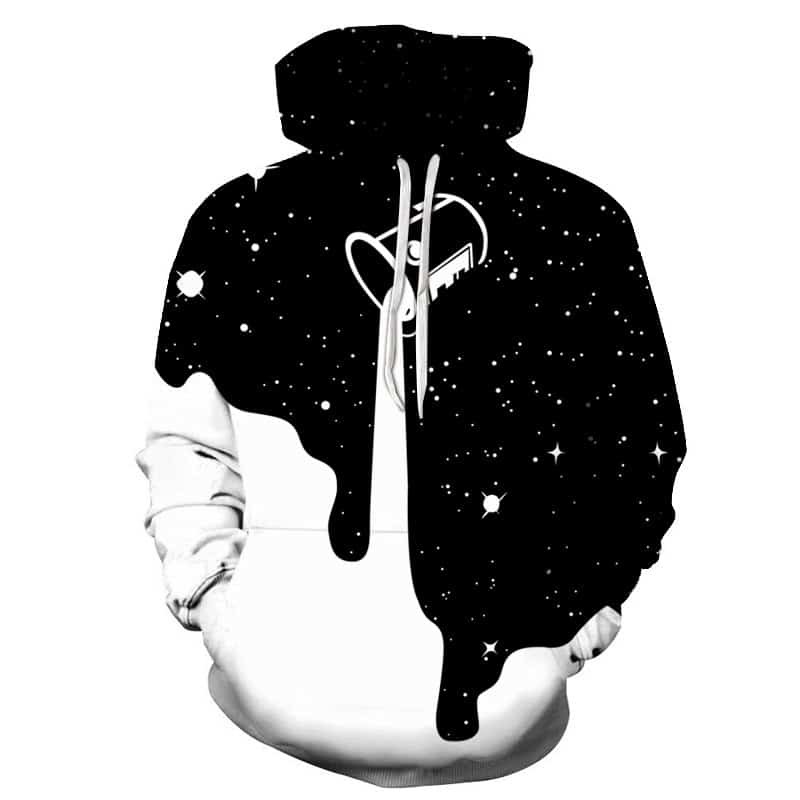 This print features a black and white design, with white paint being poured over the black starry galaxy. The hoodie is comfortable to wear, looks fashionable and is wearable anywhere. It was designed for both male and female.